Patriotic Black Lab Pup T-shirt. 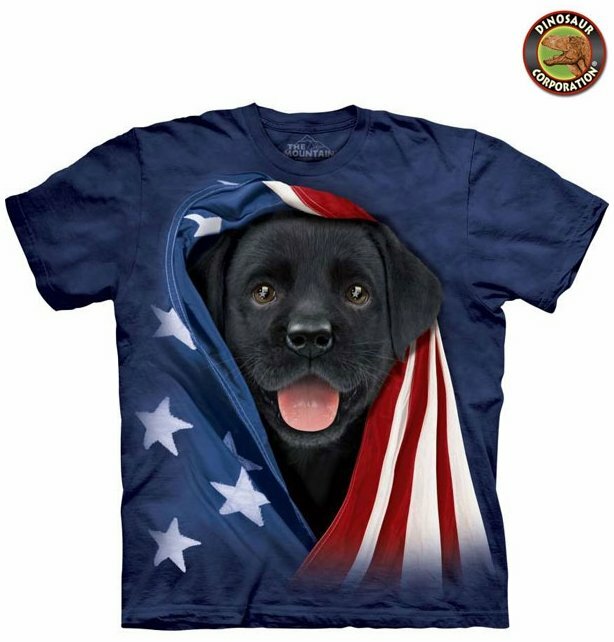 Take your patriotism and USA shirt collection to the next level with this sweet black lab puppy shirt. Great for casual wear. The quality is superb. It is hand-dyed with eco-friendly nontoxic inks.